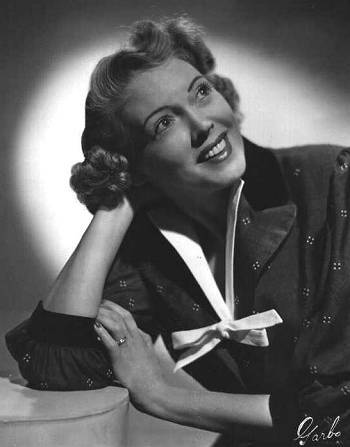 EVERY NIGHT at 7 o'clock, when some 20 million people switch their television dials to NBC for the Kukla, Fran and Ollie show, few of them realize that the soft-voiced girl, Fran Allison, is not acting at all. Her gentle patience and quiet humor are as typical of her real life as they are of her relationship with the roguish Ollie and the earnest little Kukla. 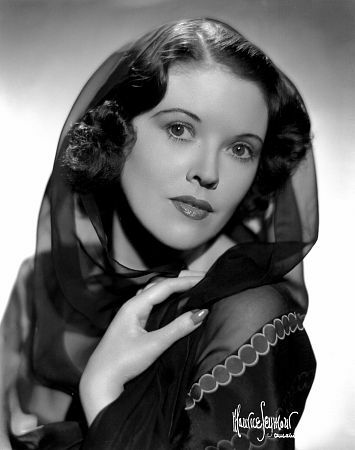 Her poise with the Kuklapolitans, the quality that makes them real to so many people, is in direct contrast to her gossipy, sometimes snippy, old "Aunt Fanny" on Don McNeill's Breakfast Club, yet both roles prove that Fran has a deep understanding of the world of fancy and the world of reality. When Burr Tillstrom was searching for the perfect foil for his puppets, he said: "What I need is a girl who can talk to a dragon." Fran Allison is that girl. Her warm humanity, which has made her a "member of the family" to millions, is no happy accident - it is the reflection of a mature, intelligent woman who has known both sorrow and happiness, failure and success. Her earliest childhood recollections are of a home darkened by her father's illness, yet held together by the faith and determination of the mother, Nan Allison. While Fran was still a small girl in her native La Porte City, Iowa, her father was stricken with paralysis, and the family was forced to move to the home of grandparents. Fran took on certain household responsibilities, and it was well that she did: before long the hard-working mother fell victim to tuberculosis and entered a sanatorium. Doctors were pessimistic about Nan's chances of recovery, but after a year, having "prayed herself" well, she returned to her family. When Fran was 11 years old, she and her brother Lynn were back home. "My mother taught me that prayer could triumph over unbelievable obstacles," says Fran. "From the time Father was stricken, she taught me how necessary it is to fight hard for life. Every time I feel discouraged or overworked, I remember her example of the power of prayer." Fran was finally graduated from La Porte High, and entered Coe College in Cedar Rapids, Iowa, to prepare herself for a teaching career. She studied hard, but also found time to sing in church choirs and at school entertainments. She got her first teaching assignment at Schleswig, Iowa, at $100 a month. During vacations she worked as a clerk in a Waterloo department store; For four years she kept up this schedule, at the same time directing a number of home-talent shows in Waterloo. Then she gave up teaching to take a full-time job with the local radio station. There she almost ran the place, doing spot announcements, cooking lessons, commercials - anything that came along. She didn't know it at the time, but she was acquiring experience that would make her one of radio's most versatile performers. One day she was standing outside the studio from which Joe Dumond was broadcasting his Cornhuskers program. Dumond sang out in a prankish mood: "Well, folks, look who's here. 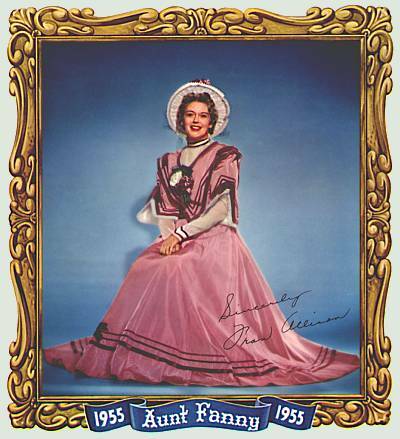 Our old Aunt Fanny! Come on up, Aunt Fanny, and tell us what's new." The startled Fran looked around, to make sure Joe was talking to her, then headed for the stage. She gave an impromptu take-off of a gossipy, garrulous old spinster, thus creating a role that has been her bread-and-butter stand-by ever since. It won her a sponsor and earned her a little extra money as a daily feature on the Waterloo station. FRAN NOW SETTLED DOWN to her modest radio career, not giving faraway big cities more than a passing thought. Then she got her first big break. After singing at her school's homecoming program, she met Bennet Chapple, an executive of the American Rolling Mills. 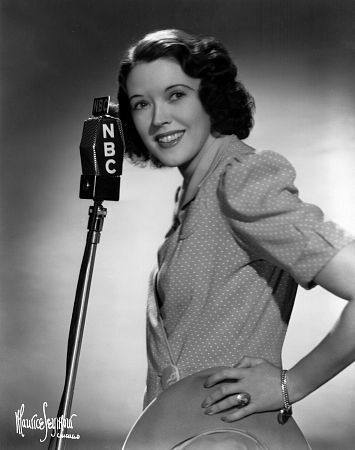 He arranged an audition for her with NBC in Chicago, and soon Fran was holding down a staff job in which she filled in wherever and whenever needed. Her all-around experience on the little Waterloo station was beginning to pay off. Fran became a girl vocalist on the Breakfast Club; played in soap operas; became an expert at singing commercials. She was easygoing, tractable, and completely lacking in theatrical temperament. Most important of all, she loved her work. When her talkative "Aunt Fanny" became a Breakfast Club regular, her salary was raised to $50 a week. It was while living in this dream world that Fran decided to take a week end off for some well-earned relaxation. She and a friend, Jessica Hey, were driving near Des Moines when a speeding car crashed into them, head-on. Fran was hurled into metal and glass. Later, in a state of semiconsciousness, she heard voices and knew vaguely that she was in a hospital. Jessica, miraculously unhurt, was saying in a low voice: "Call her mother, but don't tell her she's dying." Then a priest came and Fran knew how close she was to death. Hours later, somewhere in a shadowy land of pain, Fran heard Jessica whisper: "We have called your mother - she is praying." Dimly, Fran was aware of a sense of peace: if Nan was praying, she might still pull through. Today, Fran says: "Mine was certainly a hopeless case, but Nan's prayers reached me and brought back the will to fight. I found out afterwards that she paced the kitchen floor for ten straight hours, praying constantly and asking everyone who came to the door, - milkman, delivery boy, mailman - to join her." For three weeks Fran remained at the hospital, wavering between life and death, and, in her more lucid moments, worrying about many things - the bills piling up, her scarred face, the recurrent pains and headaches that plagued her, the effort required just to stay alive. Again it was Nan who pulled her through, by taking her home from the hospital and ministering personally to all her needs - physical, mental, and spiritual. She cheered Fran, gave her the will to fight, encouraged her to take stock of life. Pointedly she reminded her that her sight had been spared, that her throat was all right. She could still sing, she could laugh, she could talk. But most of all it was the example Nan set of cheerfulness, confidence, and courage that started Fran on the road back. Gradually, as she recovered sufficiently to leave her bed, she was consoled by another thought: she might even be able to resume her career. After all, few people saw you in radio. Behind that microphone she was merely a voice. So back she went to her job, wanting no recognition, asking merely to live in obscurity. Self-conscious, timid, she went her solitary way, refusing interviews and turning down requests for personal appearances. Then one day a bright new world began for Fran. The representative of a music-publishing house walked into the studio with some songs he wanted to get on the air. 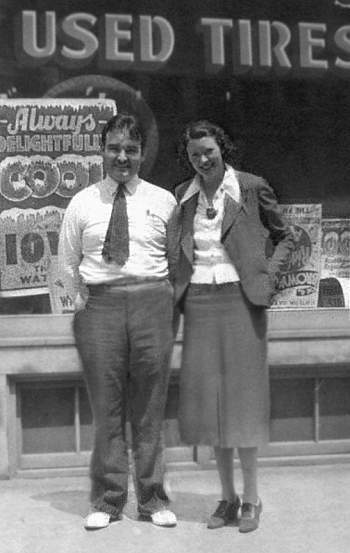 Fran liked Archie Levington at once, and he liked her. Their friendship soon turned to love. They had different religious faiths, but their mutual understanding overcame that barrier, and in 1940 they were married. Fran was happy now, contented in her marriage. She won a name for herself on the Breakfast Club circuit, and her fan mail increased appreciably. But still she hid behind her microphone, and made excuses to keep from meeting people. One day, Fran heard of a facial surgeon in Memphis, Tennessee, who she thought would be able to help her. Every chance she got, she traveled to Memphis for the slow and painful process of having her face restored. Today there is no trace of scars even on the telltale TV screen, and millions of people consider her one of television's prettiest performers. NOT LONG AFTER the successful facial surgery, Fran and Archie had still another reason for happiness - she was going to have a baby. Joyously they awaited its arrival, making plans for a new home. Fran would give up work and devote herself to being a wife and mother. But fate willed otherwise, and she lost the baby. It was a desperate blow, and today she says: "If it hadn't been for Archie, I would never have pulled through." At this point, Levington sent for Nan to make her home with them, and the husband and mother restored Fran's faith and courage. Now, at last, the rewards for which she had worked so long began to come Fran Allison's way. Chief among them was the chance to star on the Kukla, Fran and Ollie program. It all began in 1947, when the director of Chicago television station WBKB asked Burr Tillstrom if he could put together a puppet show for children. The director offered to supply writers, scripts, and attendants. Tillstrom, who must manipulate Ollie with one hand and Kukla with the other, looked at him pityingly. "What would I do with a script?" he asked. "Hold it in my teeth? No, what I need is someone who can talk back as I go along." 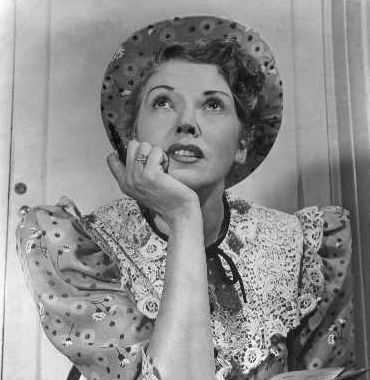 Then Burr remembered Fran Allison, whom he had met during World War II on a war-bond tour. Tillstrom knew instinctively that she was the girl who could talk to his dragon, and thus she joined the show. Today, millions of television fans agree he couldn't have made a happier choice. The Kukla, Fran and Ollie program means a great deal to Fran. It has put her in the higher income brackets (along with her other activities), and has brought her nation-wide fame. 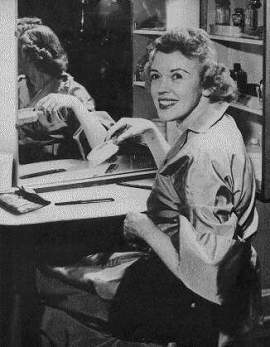 A naturally attractive woman, Fran Allison needs little help from the beauty shop. She is tall - five feet nine - and has large brown eyes, even white teeth, and soft, wavy gray hair that she doesn't try to "pretty up." Only once did she weaken in this regard. Scheduled to do a TV show in Washington with some Hollywood stars, she spent the afternoon in a beauty shop and emerged with a shining dark rinse. The director of the show took one look and groaned, "What did you do to your hair?" She has never tampered with her tresses again. The Levingtons live on Chicago's fashionable North State Parkway in a renovated old coach house. In business hours, Archie operates his own music-publishing company, but at home he indulges his love for carpentry and for installing gadgets. Nan still makes her home with the Levingtons, a loving and beloved member of the household. For relaxation, Fran reads mystery stories. She also listens to soap operas for their value as character studies. At night, the Levingtons take off to do the clubs around town. This is partly for business reasons: Archie must keep up with the new songs and singers. Most of the couple's close friends are people in radio, television, and other fields of show business. The misfortunes that tempered Fran Allison's earlier life have had a lot to do with her present happiness. "No one has so much to be grateful for," she says. "With a wonderful husband and a wonderful mother, I am a very lucky person." 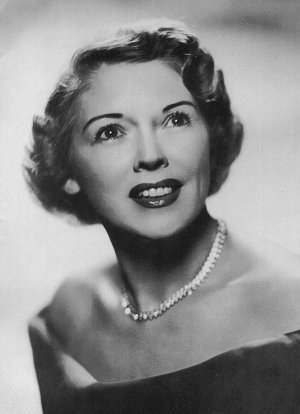 Undoubtedly, tragedy and misfortune did help to make Fran Allison the type of person of whom Burr Tillstrom says: "She is one of the most sincere, heart-warming persons in show business. Her great understanding and love for people are reflected in her work, and inspire everyone who comes in contact with her."